Ardcuillean is delightful, detached log cabin set alongside Lough Allen, two miles from Ballinagleragh in County Leitrim. With three bedrooms including two doubles (one with an en-suite bathroom with bath and separate shower), and a family bedroom with two sets of triple of bunks, the property can sleep up to six people. There's also a ground floor family bathroom, a kitchen with breakfast and dining area and a sitting room with air hockey and pool table. Outside, there is a front lawned garden with direct access to the lake, along with ample off road parking. With beautiful scenery all around and plenty of beautiful things to see and do, Ardcuillean is an ideal cottage for a large group of family or friends. Cabin 2 is a ground floor log cabin, accessed via two steps, set just a few miles from the village of Ballyconnell in County Cavan and can sleep five people. There is a double bedroom, a twin bedroom, a single bedroom, a bathroom with separate WC, an open plan living area with kitchen, dining area and sitting area, a shared laundry room in an external building. Outside there is off road parking for two cars, a rear garden with furniture and shared lawned grounds. Cabin 2 is a lovely holiday base. 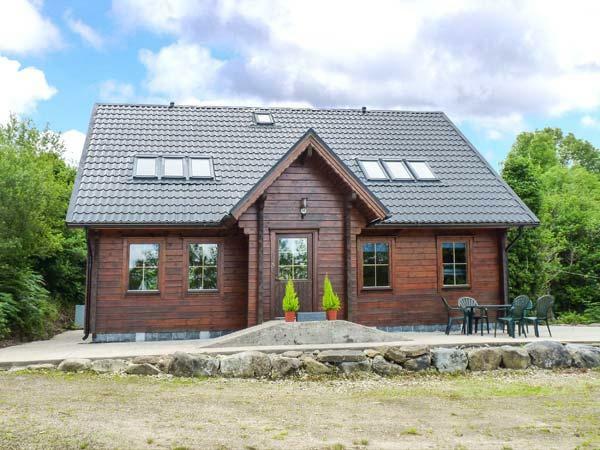 Cabin 3 is a ground floor log cabin, accessed via two steps, set just a few miles from the village of Ballyconnell in County Cavan and can sleep five people. There is a double bedroom, a twin bedroom, a single bedroom, a bathroom with separate WC, an open plan living area with kitchen, dining area and sitting area, a shared laundry room in an external building. Outside there is off road parking for two cars, a rear garden with furniture and shared lawned grounds. Cabin 3 is a lovely holiday base. 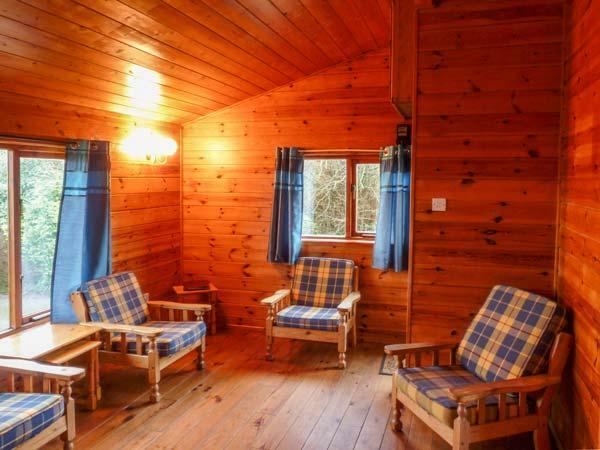 Cabin 6 is a ground floor log cabin, accessed via two steps, set just a few miles from the village of Ballyconnell in County Cavan and can sleep five people. There is a double bedroom, a twin bedroom, a single bedroom, a bathroom with separate WC, an open plan living area with kitchen, dining area and sitting area, a shared laundry room in an external building. Outside there is off road parking for two cars, a rear garden area with furniture and shared lawned ground. Cabin 6 is a lovely holiday base. 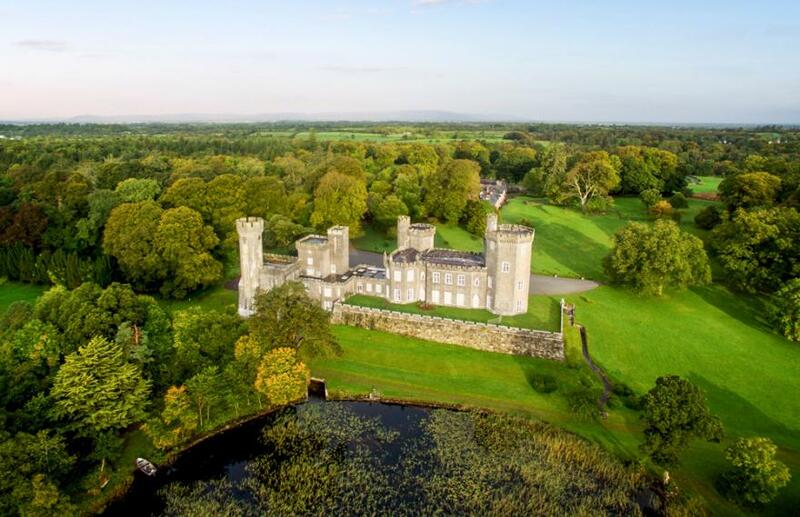 The castle is located just a short distance from Galway City and conveniently located to Shannon International Airport. Fishing: The lake is a completely private fishery and as such has not suffered the fate of many of the country's other lakes with invasive species such as the Zebra Mussel and algal bloom taking hold. There are many large and smaller pike, as well as some perch and rumours of one or two large trout. Exclusivity means that only one boat can be on the lake at any one time, and no more than two anglers in a boat. The castle provides the boat and engine, lifejackets (if necessary), maps, etc. Limited tackle can be rented too, as well as a fishfinder. Shooting: Bird, Pheasant and Duck shooting as well as Deer Stalking are available during the season by arrangement. Many of the woodlands were planted in the late 1700s and 1800s specifically with the sport of shooting in mind and thus offer great shooting in a convenient location. At the end of the nineteenth century the estate was famous throughout Ireland for the quality and number of woodcock presented. There is a full time game keeper on the Estate who ensures that all guests are extremely well catered for. The pheasant shoot was established in 2001 by Dromoland Game Sports who run the famous and very successful shoot at the Dromoland Castle Estate in County Clare. On an average day the bag includes Pheasant, Woodcock, Duck, Partidge and Snipe. The fallow deer on the Estate are plentiful. They can be stalked on foot or from high seats positioned at vantage points around the Estate. There are mature heads for trophy hunters and the meat can be processed by arrangement. Guests coming to the Estate for the first time are accompanied by an employee until they get their bearings and learn the boundaries. Equestrian: Horse riding is the perfect way to enjoy the beautiful 650 acre Estate which surrounds the Castle. The estate has equestrian facilities which include stabling for 10 horses, a sand arena/schooling ground and an excellent cross country course as well as plenty of treks. Guests are welcome to bring their own horses by arrangement. Horses are available to hire locally and can be delivered to the Estate for your enjoyment. Local hunting includes the Galway Blazers, the North Galway Hunt, East Galway Hunt and the North Clare hunt. There are also local groups that ride out regularly such as the "Turkey Trotters" based near Gort. The cross country course was designed by the internationally renowned Tommy Brennan. The course is c.2.5 miles long and includes up to 34 Jumps with 56 Options - natural fences designed to challenge all from the inexperienced to professional riders. The course winds its way through woodlands, part of the lake itself, the arboretum and across meadow and pasture, allowing riders and spectators to really appreciate the beauty and diversity of the Estate. Tommy Brennan has also designed the cross country element of the Punchestown 3 day event course, and is responsible for the cross country course at the 2008 Olympics in China. 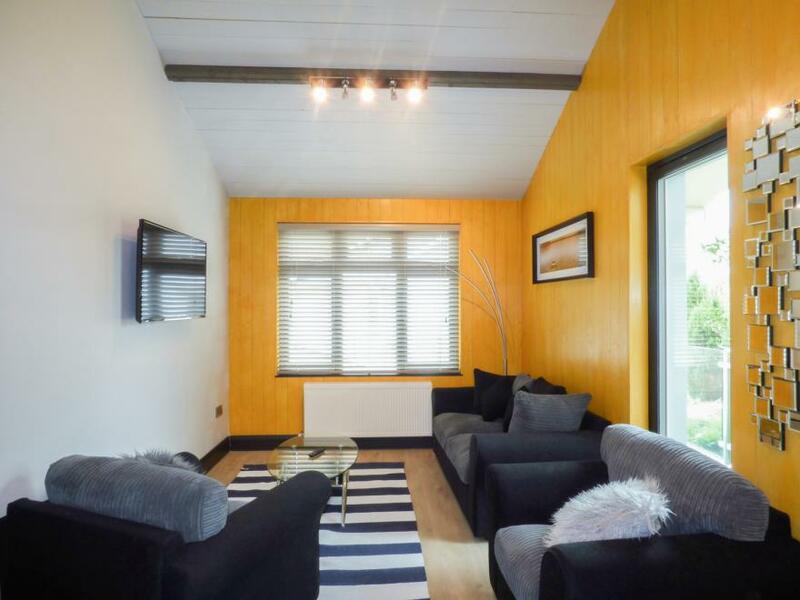 Hidden Gen Cabin is a lovely bungalow cabin and is the perfect base for guests to enjoy the beautiful Irish village of Lettermacaward in County Donegal. The property can sleep four people in one double bedroom and a sofa bed in the sitting area. The bedroom has an en-suite with walk-in shower, basin and WC. There is an open plan living area with kitchen, dining area and sitting area.Outside there is wooden decking to the front and rear of the property. There is off road parking for two cars available. 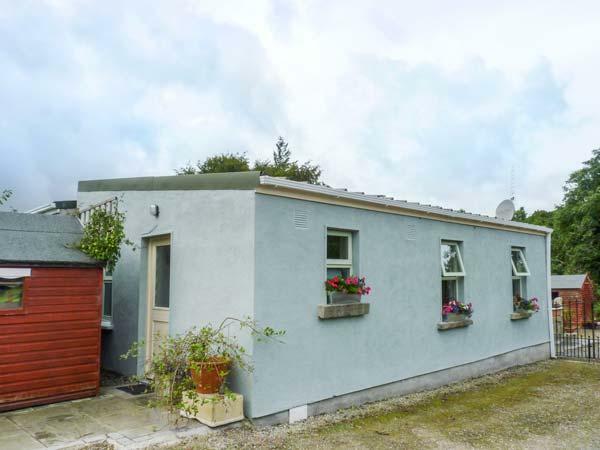 Hidden Gem Cabin is a splendid bungalow cabin, ideal for a families or a groups of four adults wishing to explore and enjoy all that the lovely Irish village of Lettermacaward has to offer. The Lodge is a lovely rustic chalet situated close to the village of Rathfarnham and just nine miles from Dublin. The chalet can sleep four people in two bedrooms, comprising of a ground floor 4' double and a first floor loft room with double bed accessed via a low doorway. Also in the cottage is a shower room and an open plan living area with kitchen, dining area and sitting area with woodburner. Outside is off road parking for one car and a private patio with furniture. The Lodge is a perfect base for touring this lovely part of the country, with plenty to see and do in Dublin itself, including the Guinness Storehouse.